Join us on 27th October for a spooktacular time at our Haunting Halloween event! 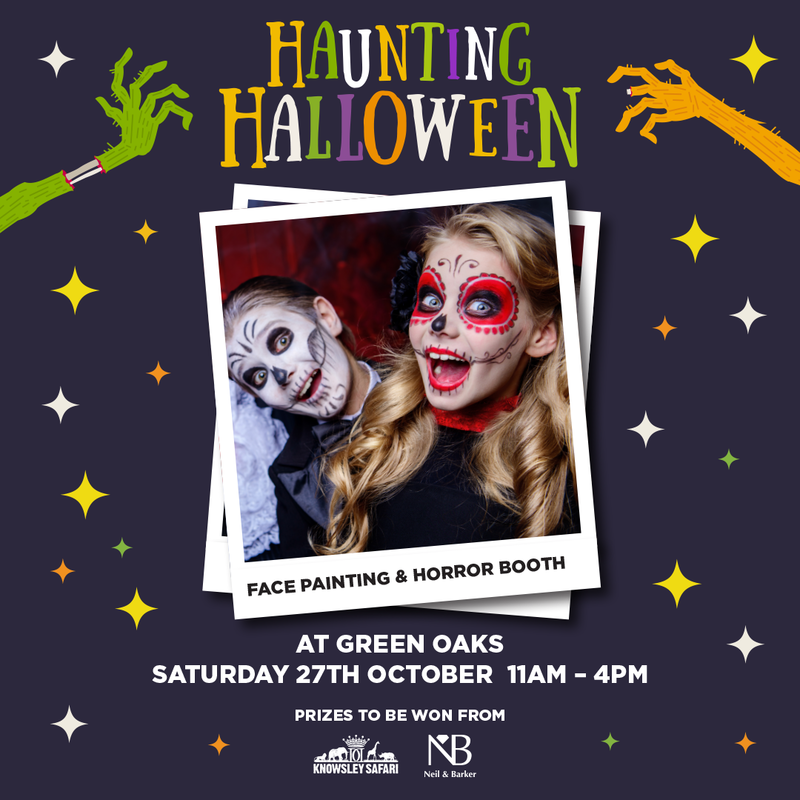 Come prepared to be scared and be transformed into your favourite Halloween characters by our magical face painter. There’ll be a horror photo booth there to catch every moment. You’re encouraged to step inside at your own peril and capture the spooktastic moment with a range of horrifying themed props. There will also be a chance to WIN prizes from Knowsley Safari and our very own Neil & Barker on the day!